Dear participant of 46th Tartu Maraton! Please take time to read the following information below. Additional information you will also find in the race rules. The 46th Tartu Maraton will take place as planned. Looking at the current track situation and the weather forecast for the upcoming weekend, we believe that the course will remain in acceptable condition. If possible, use the marathon shuttle bus! Bus info is available here. NB! A seat on the special shuttle buses shall be guaranteed only with tickets purchased from the pre-sale! In case of coming by car, share a car with friends, because this helps to reduce the number of cars in the parking lots and along the track. Parking info is available here. Please note, that the roads are slippery and there is a lot of traffic on the roads on the marathon day. Take enough time to reach the destination by the right time! We suggest you take rain boots (or something similar) to use in the finish area after the race. NB! The luggage bag has to remain in reasonable size! Welcome to pick up the start materials at the Race Center, located in shopping center Lõunakeskus (Ringtee 75, Tartu). 63 km at 9. In the race morning the start materials handed out from 7. 31 km at 12:30. In the race morning the start materials handed out from 10:30. Time keeping is performed with an electronic timing chip attached inside of your start number. Do not fold or brake the chips! No need to return the chip to organizers. Make sure you enter the starting gate according to your start number. Skiers who start above their own start group will be disqualified. The luggage trucks in Tehvandi are located in the cafe´s parking lot. Beside the start gates there is no place to leave the luggage! In Arula take the luggage to a special truck located in the parking lot and marked with special sign. Medical service is located in the main tribune building close to the stadium gate. TOKO Waxing service (for a fee) available in the race center on Friday (14-20) and Saturday (10-19). On the race morning the waxing service is also available on the start locations in Tehvandi and Arula 2 hours before each start. Information for spectators with special needs is available here. Maps and schemas are available here. The maps are also available in the marathon app. The app also helps to navigate to all the key points of the event: race center, start and finish venue, food stations on the track etc. NB! This year the smaller roads are really slippery! There are 6 service points on the 63 km track and 3 points on the 31 km track. In addition one coffee point on both of the distances. On the track, please throw your trash away only in the special waste areas or in the service stations. It is forbidden to throw the trash into the wild! The finish is opened until 19. Printing of diplomas takes place in the finish area, on the second floor of Tartumaa Tervisespordikeskus. 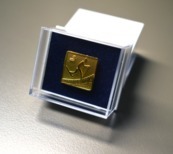 Also silver and gold pins as well as stamps into the Worldloppet and Russialoppet passports can be obtained from there. The marathon medals have a brand new design this year. In addition to the free diploma, all participants who finish the race have the possibility to get a printout of their timescale of the race. The printout includes information about your average speed and times of passing the service points. The printout costs 3€. In order to get catering in the finish area, please remember to take the food coupon that is added to your start materials. Washing and sauna with limited number of places available. Results will be available live on the information board in the finish area and on homepage of www.tartumaraton.ee. A printed result list will be issued ONLY in the newspaper POSTIMEES on 18.02.2019. This year for the first time also Vintage-skiers will start along with the main distances. There will be given out two raffle prizes among all the Vintage-skiers: brand new and modern Salomon SKIN skis and a sauna stove! 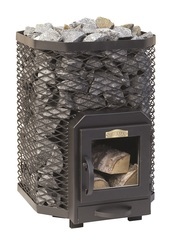 Sauna stove was also the main prize for the marathon winner in the 1980s. On the marathon day there are special shuttle busses for the participants. Additional information about purchasing the ticket, prices as well as time-table is available here. For everyone coming by car, we suggest to park in the finish area in Elva. With the 5 EUR parking ticket bought from the Race Centre, up to 5 persons can get by the shuttle bus from Elva to the start area in Otepää. The ticket can also be bought from the parking lot at the race day, it costs 10 EUR and does not include the free bus ride. Parking in the start area in Otepää is for free. Keep yourself updated with the schemas here and follow the instructions of the parking officers! In addition read the traffic regulations, which is also useful for your friends who might want to follow you as spectators. The easiest way to re-registrate is to do it at the self-service environment of our homepage (up to 15.02 17:00) which you can find here. Re-registration takes place also in the race centre up to 16.02 17:00 or by written application (tartumaraton@tartumaraton.ee) sent before 17. Re-registration costs 10 € + difference of the participation fees of distances. Pasta Party in the Race Centre is open on Saturday, 16.02 at 12-17. The Caffee in Tehvandi Stadium offers warm breakfast on the marathon morning from 7. On the marathon day you can order a special GPS tracking service in order to be visible for your friends. Submit your order here. On the marathon day you will be visible here: 63km or 31km. Live webcats with ENG commentaries starts on Sunday at 8:45 on our webpage. Timetable of awarding ceremonies is available in the program. A Russialoppet ceremony is included into the program and held on Sunday at 14:15. On Saturday, February 16th, you are most welcome to the children´s races, held in Tartu in Tähtvere Sports Park. The photos of the event will ba available at the gallery of our homepage as well as on our Facebook page. Benefits for participants offered by our co-operation partners you will find here.